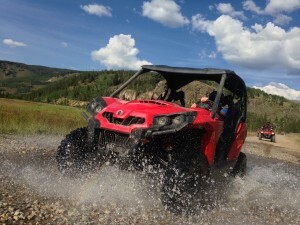 Located in the Vail area and boasting 55,000 acres of their own terrain, Nova Guides is the mountains’ premier operator of ATVs in the summer and snowmobiles in the winter. Offering guided and unguided ATV and side-by-side tours as well as jeep tours, they have plenty of options for the experienced rider and the first-timer alike. And because your destination is their land, located on the old WW2 training ground of Camp Hale, you will get a taste of history, the comfort of knowing you are on maintained trails, and the best guides in the business. Over their 33 years of operation, Nova Guides has acquired special permits that allow them to operate in the White River National Forest, giving them access to some of the most scenic spots in the area. Ranging from waterfalls to meadows to the top of the Continental Divide at 12,500 feet, the views are sure to take your breath away. 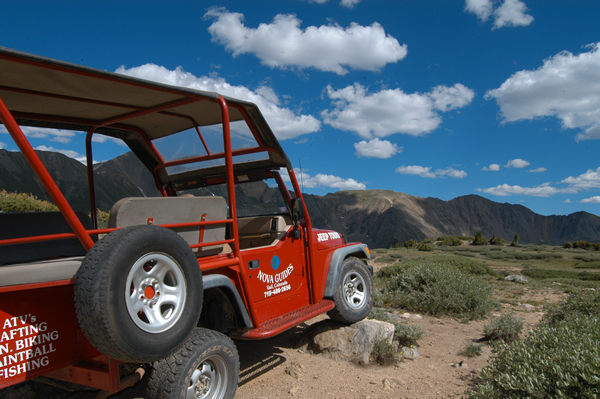 Jeep tours are a great way to tour Colorado, with stunning views of alpine meadows, mountain ranges, and wildflowers. Tour times are offered in the morning, afternoon, and even during sunset! Lunch or snacks are provided during tours as well. ATV tours are a great alternative to the Jeep tours, and no previous riding experience is necessary! The professional guides will give you safety and operation lessons before they send you on your way. 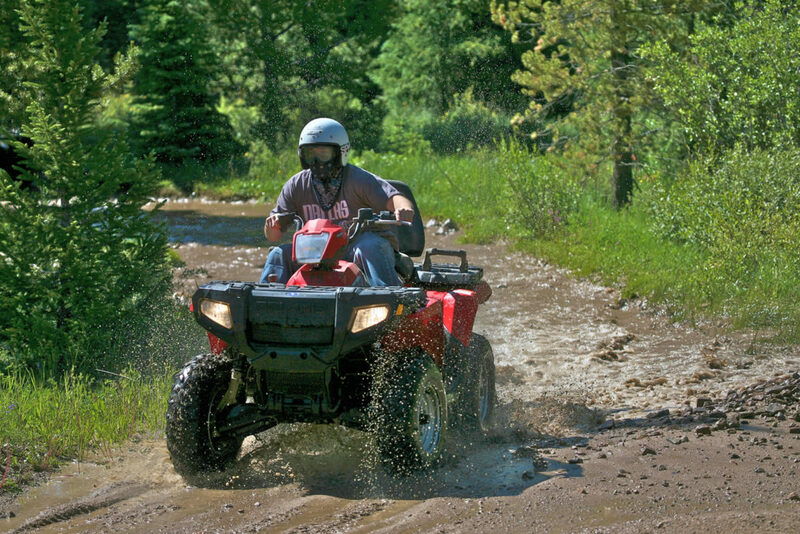 All guided ATV tours are two hours on the trail. Have previous ATV experience or just looking to take in the views on your own? Nova Guide also provides ATV rentals! You will receive a safety orientation and operating instructions and will be left to explore the trails on your own. 8:30 a.m. – 1:30 p.m. and 11:00 a.m. – 4:00 p.m. Enjoy zipping around on 55,000 acres of permitted terrain in either a new Polaris RZR two- or four-seater. Ride through miles of aspens and high alpine terrain, capping at out 12,500 feet, surrounded by four different mountain ranges. Enjoy all these sites with a guide or rent your own Razor for the day. RZR Afternoon Tour: 2:00 p.m. – 6:00 p.m.